Hide deals from seller "Lake Geneva Games"
Hide deals from category "Gambling & Gaming"
Limit 1 per person. Valid toward any regularly priced merchandise. Promotional value expires 365 days after purchase. Advertising solicitation prohibited. Embark on an epic adventure with this deal for 66% off games, accessories and more from Lake Geneva Games ($15 value). Offering tourneys, Magic: The Gathering drafts and other events as well as a wide selection of games and accessories, this store has all the loot you need for extraordinary gaming. Owner and avid gamer Jason Ledtke opened Lake Geneva Games to provide a friendly gaming venue for likeminded players. 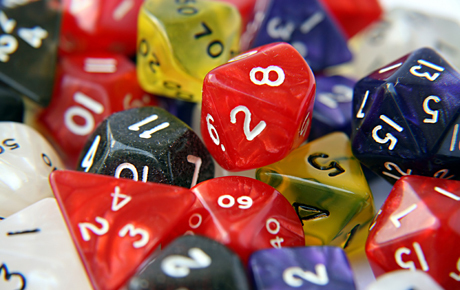 Events for fans of Dungeons & Dragons, World of Warcraft and more keep gamers involved in the local scene, and their impressive selection of games and accessories ensure that you’re never left without a d20. Gear up for this dungeon-crawling deal. Game store in Lake Geneva offering board games, collectible cards, accessories and more.